If you are seeking a high quality storage unit rental facility , look no further than JD Mini Storage. We are pleased to provide our many satisfied customers with quality storage facilities and spacious storage units. There are a number of great reasons to choose our storage facility near Capitola. We offer year-long accessibility from 7 in the morning to 7 at night. In addition, all of our storage unit rentals are located on the ground floor, so you will be able to easily access all of your belongings. Also, all of our storage units measure 10 feet in height, so you will always have plenty of room for your larger items. Additionally, we require no minimum rental period for our self-storage unit rentals. When you rent one of our quality storage units, you can rest assured that you are making a terrific choice for all of your moving and storage needs. Whether you are a parent with an empty nest or are simply moving to a different part of town, there are many great reasons to downsize your current living space. To downsize without stress, you may want to consider renting a storage unit. By renting a unit at a self-storage facility , you will be able to hang on to your belongings after you move. Storage units are the perfect option when you are moving to a smaller home. A self-storage facility located in Capitola can provide you with helpful storage services during your home. Read on to learn some tips for keeping your cool when you’re downsizing. The first step of downsizing a home is to take a thorough inventory of all of your belongings. As you are going through your stuff, decide which items are essential, and which items you can live without. In addition, you may want to take note of any items that can be easily replaced. By taking inventory, you will have a good idea of what to bring to your new house. To reduce your stress as you downsize, it is a great idea to remain highly organized as you pack and move. By carefully packing, sorting, and organizing all of your belongings, you will ensure that everything has its proper place in your new home. Starting off with a good level of organization will also help you as you are unpacking in your smaller space. Storage is essential when you are downsizing your current living space. 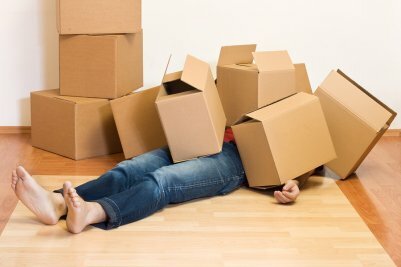 With self-storage, you will be able to hang on to all of the important items that do not fit in your new home. When you are moving your belongings into storage, make sure that you will be able to easily access the items that you will use most frequently. There are a number of ways in which you can foster a positive relationship with your roommate. If you have too many belongings for your shared space, talk to a storage facility in Capitola about a self-storage unit. Watch this video for advice on being a good roommate. The 7 Habits of Highly Happy Roommates! When you share a living space with another person, it is important to establish rules. This helps to ensure that each roommate respects the other’s space and needs. Not only is it important to set rules; it is just as important to follow them. Make sure that you remain consistent in your habits and your generosity; do not throw loud parties if your roommates have to study or have work in the morning. You can be a good roommate by creating a respectful relationship. If you cannot fit your belongings in addition to your roommates’ belongings, talk to a storage facility about renting a storage unit.